Have you ever felt like the grades you were giving students were not carrying the messages you wanted to send? I used to feel like I knew my students pretty well. After all, I spent 7 hours a day observing and interacting with them. When it came time for assessments, I had a pretty good idea of how much students had mastered. When it came time for report cards, I would average out my grades for classwork, homework, projects, quizzes, and tests, and Whoa! I would always be surprised by a few of the averages. I would struggle with whether or not my grades were fair and how I was going to field parent questions about how and why their children received those averages. I would spend time playing with the points, weights, and averages until I felt the grade was fair. Then I had to wonder how consistent they were? If grades are supposed to be a communication tool, then they must be an accurate representation of student performance. 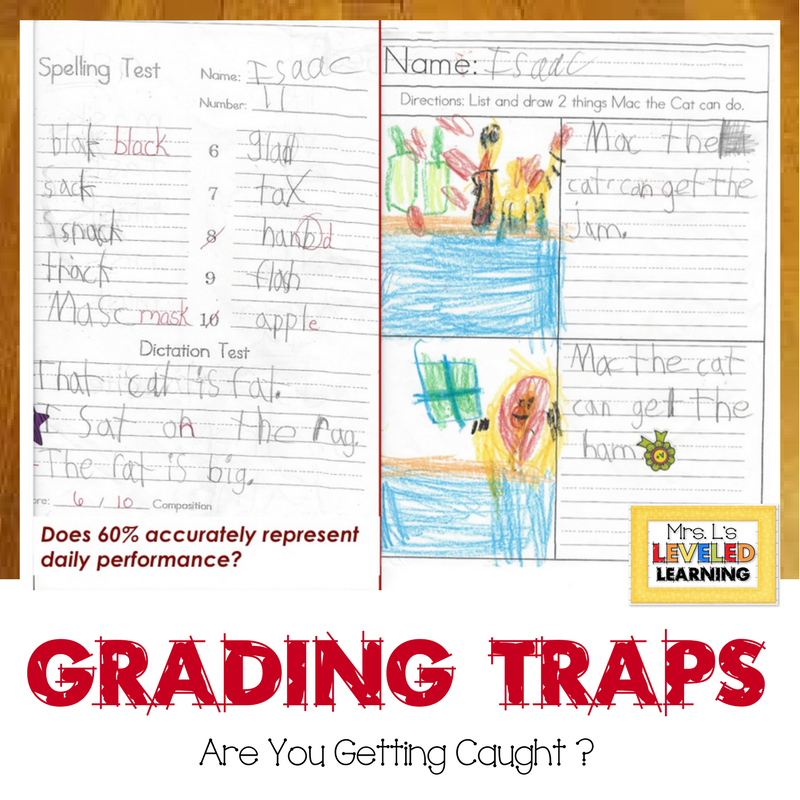 Read on to learn how to grade with scales and escape the grading trap! Grade with Scales to be OBJECTIVE! Spelling is a sub-skill under Language on our report cards. I’ve always done traditional spelling test like any teacher. The problem is that sometimes I have more spelling grades than grammar or language grades, so it becomes a big piece of the pie. Isaac is a pretty smart kid and performs well for the beginning of first grade. When I compared his daily work to his first few spelling tests, I became concerned that these low scores were going to throw off his averages. I started to think about my grading approach. Well, he did get 6 out of 10 correct, so isn’t 60% an objective grade? What if I gave two points for each word; one for spelling and one for things like capitals and backwards letters? That would change his grade to 15 out of 20 correct, which is a 75%. What if I added points for the dictation sentences, since that was perfect? My co-teacher adds 3 points for each sentence; capitals, spelling, and periods. If he had scored 24 out of 29 points, then he would have an 83% score. So which is it? How can grading be objective if a student’s score can range from a D- to a B on the same test? I was introduced to Marzano’s Learning Goals and Scales back in 2010. My district expected teachers to post learning goals with scales and had decided on a grading scale to align traditional percentages with a 1-2-3-4 point scale. Using the scale for first grade Language 1.L.2 gave me an alternative to playing the numbers game with my averages. I understanding that Isaac earned a solid 3 on the scale. I could easily assign him a 3 in my grade book and then convert that to the associated percentages assigned by my district. When I have the scales to communicate the grade-level expectations with students and parents, there is much less anxiety and explaining to do! 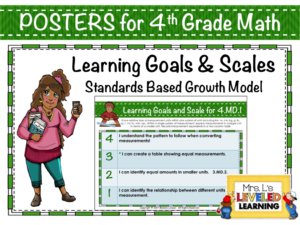 The Posters for Math and ELA Learning Goals and Scales are hung in my classroom as references while we cover specific standards. 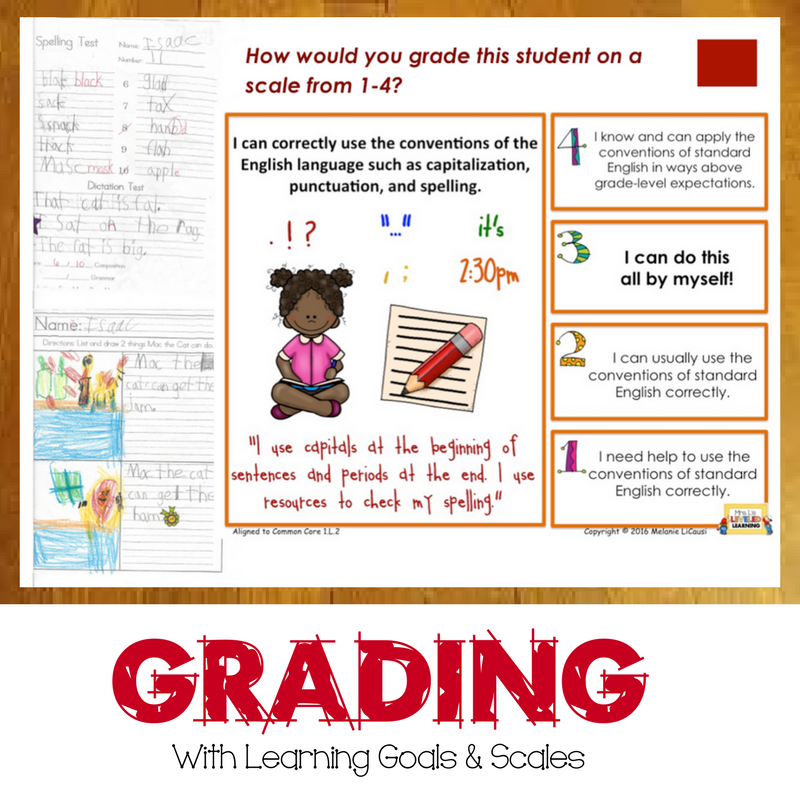 To learn more about how to grade using Learning Goals and Scales, Follow by Email in the sidebar. You will get my Free Guide to Marzano Scales: Making Research Practical immediately, as well as updates about helpful blog posts, product sales, and free resources. If you’re not sure how this approach will work for you, you can get Free Learning Goals and Scales Posters to try in your classroom. Follow my Teacher Freebies link to search for your grade level in Math, ELA, or Science (Coming 2018)! 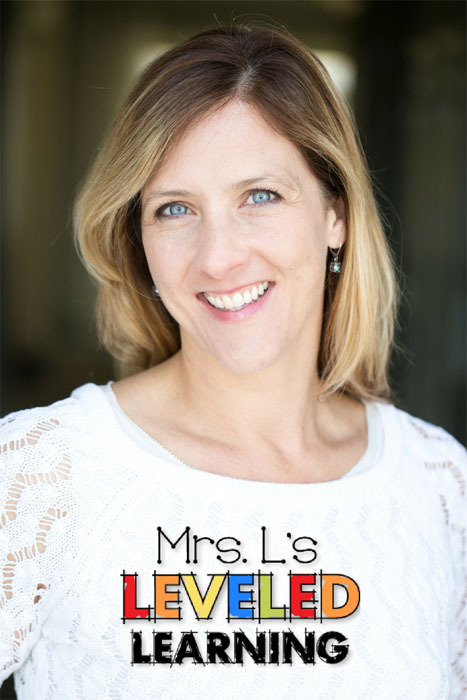 Thank you to Stephanie from Forever in Fifth Grade for hosting the November linky! For more 5th Grade Resources, visit my Teacher FREEBIES page. Thanks for the food for thought! Grading has to be my least favorite thing about teaching. I always write way too many comments on report cards, because I feel that the grades just don’t communicate enough. Thanks for the comments Jan. ME too! I always dreaded grading and spent way too much time on it. Using portfolios was another tool that helped me to do less explaining, which I really liked. 😉 Enjoy your holidays as well.